System that really deserves attention. It combines the power and flexibility of trading. Do not be put off by a large number of settings. They do not need to be changed, the system is already configured and fully operational. 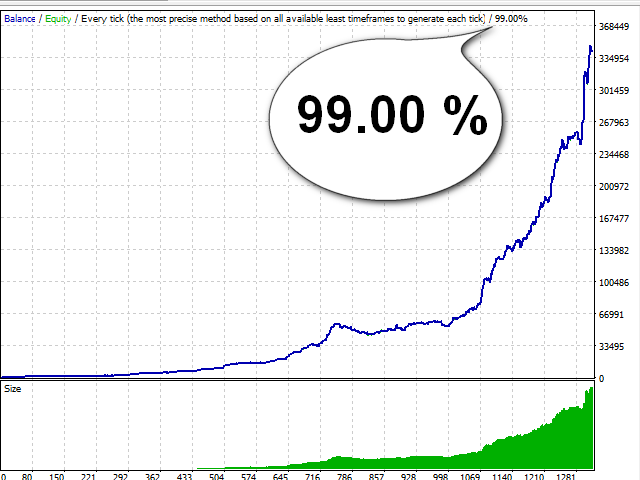 Your task is to run the robot on the chart and simply not get in its way. If you can do that, then you will be able to control this EA. 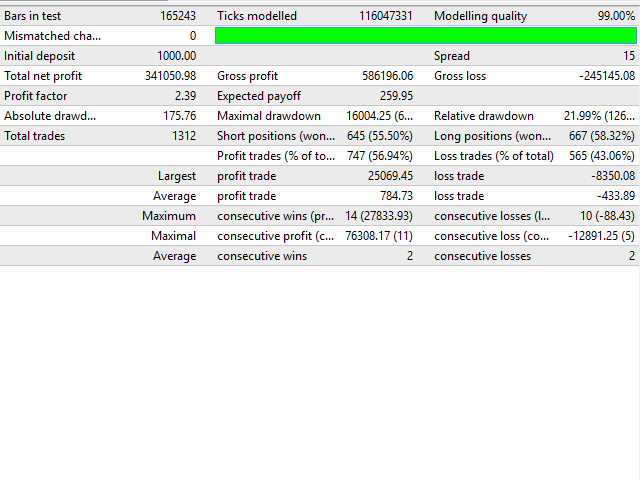 The Expert Advisor features a system for controlling the order execution and calculation of the average spread value. It records and displays on the chart the slippages of orders and the entire history of spread changes for all period of the EA operation. This can significantly help in choosing a broker. As the additional orders are opened, the distance to stop order decreases to prevent loss of equity greater than specified in the TotalEquityRisk parameter. 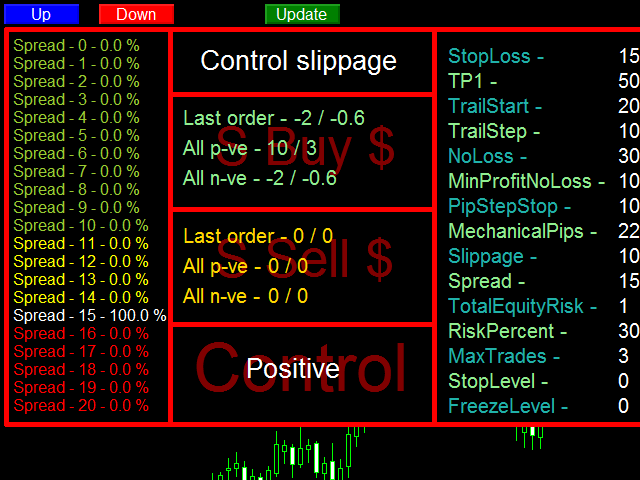 In exceptional cases, a situation may occur when the robot opens additional orders and estimated stop order of a subsequent position would have to be placed above the buying price or below the selling price, which contradicts the rules of trading. 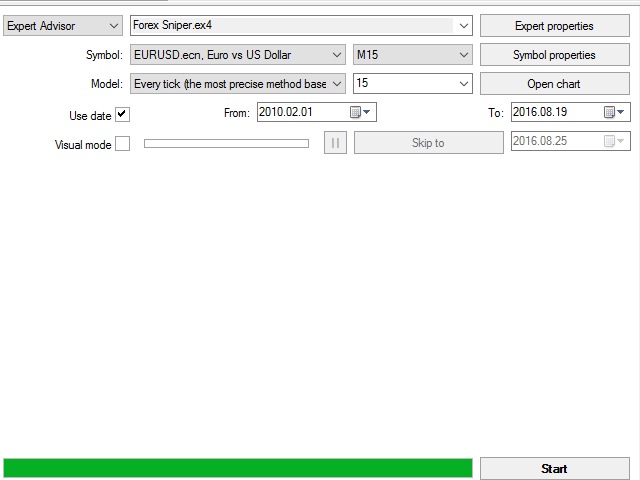 In this case a recalculation will be performed and stop orders of all positions will be moved to the minimum allowed distance specified in the StopLoss parameter below the Bid price for buy orders, or above the Ask price for sell orders.